A cruise is the perfect holiday choice for couples, no matter whether you’re celebrating a honeymoon, a special anniversary or just want a break that offers something that both of you can enjoy together. Caribbean all inclusive cruises are particularly popular, as they combine so many wonderful experiences. 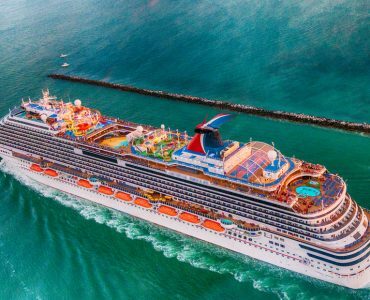 Normally your cruise ticket will cover accommodation, dining, entertainment, refreshments and options for a variety of events, including health and fitness activities. If you love the beach, then the pristine white sands and deep turquoise waters of some of the Caribbean islands will delight you. Adventurers can explore St Kitts and marvel at the volcanic landscape, or check out the caves on the Lesser Antilles island Curacao, which is still part of the Dutch territories in the Caribbean. In Antigua, you’ll find stingrays and in St Croix, a constituent of the US Virgin Islands, seahorses. 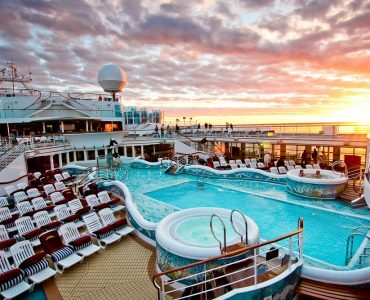 To find the best Caribbean cruise deals start with the experts. 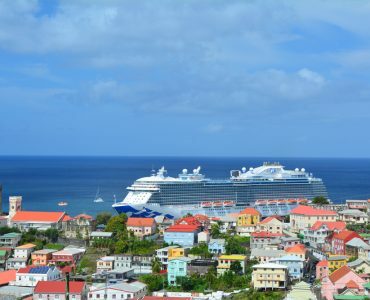 Most Caribbean cruise operators offer itineraries for shorter cruises (six or seven nights) aimed at a particular section of the Caribbean – eastern, western or southern for instance. 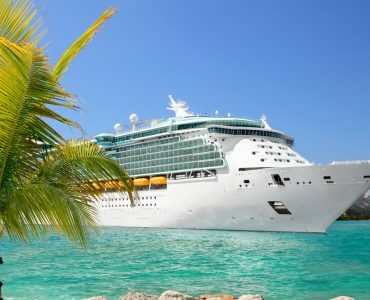 Cruise deals often include add-ons that are attractive, such as access to free WiFi onboard or a deluxe drinks package. Couples can choose from a wide variety of cabins, depending on their personal preference and available budget. 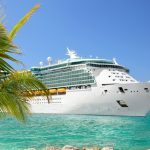 To be sure of getting one of the best cruise deals couples can select a no-fly option, such as a round trip to the Caribbean from Southampton. 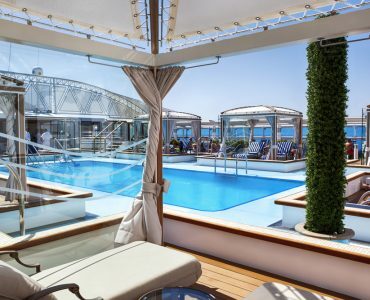 Trusted reviewers report that a short cruise is a great way to break up the British winter, giving you a dose of sunshine when you most need it, for example in January. Parking at the port in Southampton can be expensive so it’s best to look around for cheaper alternatives, even if this means taking a taxi when it’s time to board. 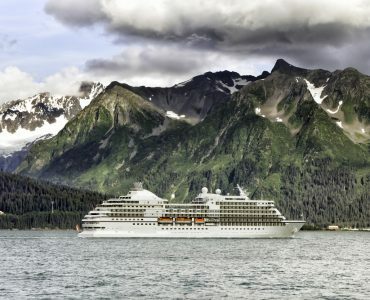 Some cruise operators offer the option to pay an extra amount to cover all tips up front, however, you may prefer to skip this and simply reward attentive crew members according to merit. 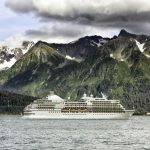 Whether or not your cruise is a celebration, you may find, depending on the cruise line you choose, that you’ll be permitted to bring your own bottle of bubbly or spirits on board. In most cases, cruise liner bars are reasonably priced in line with normal UK pub prices. 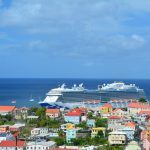 Perhaps your Caribbean cruise is for a very special occasion indeed, in which case you may want to consider a 2018 luxury cruise. 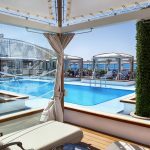 Couples can get some really good deals even on luxury cruises if you shop around and select the destinations and the time of year that is most affordable. 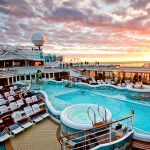 If privacy and a romantic atmosphere play an important part in your ideal cruise experience, look for ships that offer cabins with lovely bathrooms, private balconies, options for private dining. Some operators offer a spa menu, that can often include a massage, especially for couples. The range of dining options is also ideal for couples – if your cabin has a balcony you can order a romantic dinner for two and be treated to lobster and champagne (for an extra fee). The range of dining experiences available on most ships means that couples can choose from wine and sushi, gastropub fare, steak and seafood or Italian cuisine at the very least.